Offering a full range of public and private sector transportation planning that includes operations, finance, technology, management, and organization design leading to the development of solutions for fixed route and paratransit services. Marlene Connor Associates LLC offers a broad range of public and private sector transportation planning that includes operations, finance, management and organizational design and development and specializes in integrated and coordinated mobility that connects customers and communities through partnerships and technology. Our team members have been in the public transportation industry for many years and have worked in a variety of endeavors in the public and private sectors as well as interacted with a number of industry associations including APTA, CTAA, TRB, and FTA, developing a broad array of policy perspectives with the goal of moving the industry forward and improving service to customers and communities. Most recently we have been coordinating the various components of integrated mobility which include transportation network companies, start up transport companies and broader technology applications. The goal of this work is to determine how these integrated mobility components connect with the public transportation networks to provide seamless service to customers and communities. MCA,LLC has recently been certified as a DBE for federal-aid transportation projects and also as a WBE. These eligibilities have been certified by the Commonwealth of Massachusetts. In addition, we have been certified as a DBE by the North Carolina Department of Transportation, by the Connecticut Department of Transportation, and by the New York State Department of Transportation. We combine strategic analysis and an understanding of state-of-the-art technology to develop transportation plans that meet the precise needs of communities. To learn more about one of our technology partnerships, please click here. Marlene has 30 years of experience in transportation management and planning. She blends private and public sector experience with an intense personal commitment to improving transportation policy. 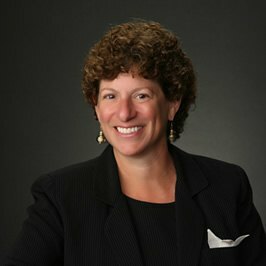 She was previously the chief executive officer of the Pioneer Valley Transit Authority in Springfield, MA where she directed numerous changes in service delivery, consolidated the fixed route and paratransit services programs, and implemented a systematic financial improvement process that improved efficiency while enhancing mobility. Her experience includes a wide range of public transportation planning projects in modes from ADA paratransit to Bus Rapid Transit as well as studies that include operations, policy development, management and organization, IT, and financial analysis and review. Marlene is Past Chair of the American Public Transportation Association’s Mobility Management Committee and also Chair’s the Intergovernmental Issues Subcommittee, and serves on Policy and Planning and Research and Technology committees. Listen to recent Podcast featuring Marlene. 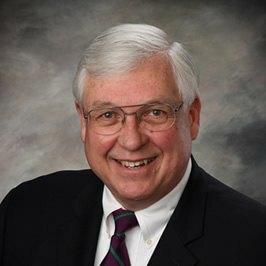 Jim’s career in public transportation includes a dozen years of consulting experience as well as several decades of public sector experience with agencies in Los Angeles. Those assignments included as the Director of Transit Planning for the Los Angeles County Metropolitan Transportation Authority, in charge of a diverse projects such as the Metro Rapid BRT program, planning for the Universal Fare System, and communication with municipal, local and private sector operators. Before joining Metro he previously was the initial Chief of Transit Programs for LADOT where he implemented local shuttle, commuter express and community transportation programs for the city. Jim also served as a Deputy Mayor for Transportation for the City of Los Angeles under Mayor Richard Riordan. His consulting engagements have included a variety of planning efforts, collaborating with Marlene on projects in over 30 states, working independently and as part of inter-disciplinary teams. Jim has been active in the industry developing networking connections based on working nationally within APTA, CTAA, TRB, and the FTA as well as many state and local affiliations. Marlene Connor Associates works collaboratively in a range of settings throughout the country to develop creative solutions for public transportation and mobility projects. Jim and Marlene also completed many projects together before forming MCA. These prior projects are noted with an asterisk* below. MCA is a participant on the Nelson Nygaard team tasked with working through the implementation of the Wake County Transit Plan. 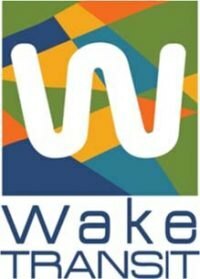 In November 2016, Wake County voters approved transit-dedicated funds to help pay for the improvements found in the 10-year Wake Transit Plan. The MCA role in the plan is to update the 2013 Local Coordination Plan for the county and working in conjunction with service providers, agencies and jurisdictions provide inputs regarding community- based services and provide input into the ADA paratransit program as well as capital and operating budget recommendations. Assignments include updating the inventories of public transportation services provided, consideration of needs assessments especially in the more rural areas of the county that do not have fixed route services, inclusion of ADA paratransit operations throughout the county and input from municipalities regarding potential funding and support for these community based services. Public sector inputs will be received from Wake County, GoRaleigh, GoCary and GoTriangle staff and recommendations will be vetted through the Core Technical Team for inclusion in the FY 19 funding and implementation plan. This study for the RGRTA the regional transit system in Rochester New York includes evaluating their future demand for their RTS Access paratransit service and recommending facilities modifications or alternatives based on the demand. The MCA role is to review the estimated demand for service that has been previously completed and recommend modifications plus incorporating locational factors that would influence costs considerations such as deadhead mileage based on trip origins and destinations. The evaluation includes extensive on-site communications with RGRTA staff as well as an understanding of the major origins and destinations that currently influence ridership demand as well as demographic and land use changes anticipated. Demand has increased 3.5% each year for the past four years. Those increases, and similar increases around the country are occurring at a time when fixed route ridership is typically declining, which accentuates the disparity as seen in the 2015 National Transit Database report that indicates approximately 1% of the riders are accounting for 9% of the cost. That relationship is difficult to sustain in an era of constrained resources. In addition agency policies regarding fares, service areas and span of service also influence demand and will be included in the analysis. The results of the MCA analysis will be incorporated into the final facilities planning decisions. MCA is a team participant on the consortium of Cubic-John Laing for the design, integration, and implementation of a new Automated Fare Collection (AFC) system for the MBTA. AFC 2.0, the new system is the first public-private partnership for the MBTA. The MCA is tasked to provide accessibility guidance and oversight. MCA will continue prior working relationships with the community and also work in conjunction with the MBTA’s System Wide Accessibility Group. Phased implementation of the system is anticipated in late in 2019. Full implementation will occur by mid-2020 followed by a retirement of the existing system in 2021. DART was one of eleven jurisdictions that were awarded funding as part of the initial FTA Mobility on Demand grant process. Based on the knowledge of staff in the areas of integrated and shared mobility, DART selected MCA to provide project management working in concert with their staff and the FTA and their various oversight and assistance team. 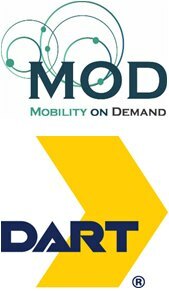 DART will develop a platform to integrate new MOD transportation providers into a transit App which will plan transit multi-modal journeys, pay for services and collect traveler information in a single transactional experience with a single interface for the user, service providers and settle each share of the journey on a single user account, using its regional mobile application (Go Pass). Following the technology phase, DART will conduct a pilot test using first and last mile providers including transportation network companies (TNC), public transit first-last mile options including urban, rural and suburban transit providers (e.g., DART On Call), taxi companies, bike share, car share, van and carpool providers. MCA activities have included coordinating the development of the DART Project Management Team, finalizing the Project Management Plan, updating the project schedule and developing internal communication, planning and management processes. Next steps will be focused on the FTA communication and reporting processes, including sharing information with other grantees. The implementation process, coordinated by MCA, will build momentum informing project sponsors/potential partnering agencies, working with the technology team to identify roles and responsibilities and negotiating processes/agreements with mobility providers such as: Bridj, Uber, and Lyft. MCA will work with the Project Management Team to conduct a one-year pilot test of the upgraded regional mobile app and integrated payment system within four use cases. MCA is part of a team selected by Orange County NY to perform a series of task order assignments regarding the existing public transportation services in the County as well as options and alternatives to those services. Work assignments to date have included assistance in management oversight reviews of the operators and their current National Transit Database reporting procedures and processes and recommendations for modifications, including assistance in NTD grant filing for 2015, which has been implemented. Current work includes assistance in a review of the County Dial a Bus operations and the development of recommended improvements in efficiencies and service delivery options. Additional work to be performed could include a review of facility grants and projects, options and alternatives for consolidation, coordination or collaboration of the ADA paratransit services and other financial, planning and policy assignments where MCA experience can add value. MCA is part of the research team selected for this project. The objective of this research is to develop a guide for the public transportation industry in the areas of bus transit service reliability. The guide will include a toolbox of resources that may be used to diagnose and manage bus transit service reliability and will describe benefits, costs, and outcomes of potential policies, strategies, and actions including in the areas of technology and facility development. The research steps will include a review of prior studies and activities, enhanced through an extensive national and international survey of transit agencies. Once the background information and data has been developed, then more specific analysis with respect to performance measurement, both from a customer and operator perspective, can begin to be more fully developed. Phase two of the research will include more focused review of various techniques, based on detailed case studies and ongoing research activities that will be presented in a guide to add value to the industry. The MCA role in the research is to provide input based on prior experiences with TCRP research projects and assignments within the industry as well as ongoing activities within APTA. MCA is part of a team selected by the Boston Redevelopment Authority to develop a comprehensive and consolidated analysis of the multi-modal transportation network in the North Station study area over the near and long term, and to propose actionable improvements with realistic timelines for implementation and financing. Tasks for the study include: review of all relevant existing and ongoing projects, plans and improvements; develop a vision for transportation in the Plan area working with affected stakeholders; using existing modelling networks and data, establish and analyze base and future transportation networks and conditions; develop and test transportation system improvements for all modes; develop an achievable Implementation Plan, including costs, potential financing sources, and operation and management strategies, with consensus from all stakeholders; implement a thorough Community process, outreach and engagement; and complete the design of one to three immediate/near term improvements. The MCA role will be to lead the public transportation portion of the study, looking first at existing services include multi-modal fixed route and commuter options, a variety of dedicated and demand based shuttles and circulators, as well as other taxi, TNC and other demand response options. Next, given the potential applicability of a number of integrated and shared use mobility options, how can these be best incorporated into a system and effectively communicated in real time to residents, visitors, commuters, etc. The public transportation components would then be blended into the overall plan development process, including input from affected agencies. 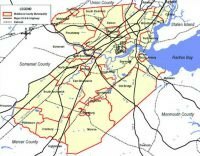 MCA is serving as the technical lead for a multi‐agency team to complete a five county planning assignment for the New Jersey Transit Office of Community Mobility. 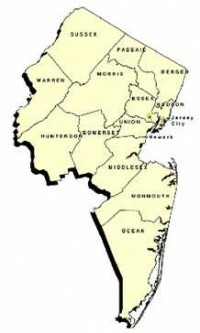 There are 21 countries in New Jersey and each, as a sub‐recipient of NJT, has a community transportation program for seniors and persons with disabilities that has also historically be funded from casino based revenues. Those revenues have been decreasing in recent years, which has required additional county based revenues to sustain services. The goal of the service planning assignment is to identify potential opportunities for improvements in efficiencies and effectiveness looking at a range of mobility options, which could include route deviation, shared ride taxis and a variety of emerging integrated and shared mobility options. The five Countries which are part of the effort have expressed interest in participating directly in this study and a guidebook with the steps and results from the process will be developed to help inform the other countries on the options and alternatives developed. Tasks will include developing a background of services available, comparing resources used with respect to gaps and needs, the development of drastic recommendations regarding options and alternatives and a specific phased implementation plan which addresses both operating and financial planning. MCA is part of the team selected to review the existing transit services for the city system in Gastonia and provide recommendations regarding potential modifications or alternatives including a review of: ridership, route structure, fleet composition, organizational design structure, coordination opportunities and other concepts to improve efficiency and effectiveness. MCA is working in concert with other team members, specifically providing insight with respect to the route structure and alternatives as well as other organizational opportunities. For example, although the City operates the fixed route service and ADA paratransit service, the County provides human service transportation. Also, with respect to fixed route transit, the City receives commuter services operated by the Charlotte Area Transit System. As a result of the various components of the system within Gastonia, there will be a number of operational efficiencies considered as part of this analysis. MCA was retained to evaluate the potential to incorporate the concepts of integrated and shared mobility programs into the AVTA system to provide alternatives for long distance fixed route service to areas with lower density as well as review the existing demand response operations services in the area, the AVTA Dial‐a–Ride and the ADA paratransit service from Access Services. AVTA has a large service area which includes several historical routes that extend a number of miles east of the main activity centers of Lancaster and Palmdale. The recent service review recommended several fixed route modifications to improve efficiencies, but it appeared that looking at organizational and operational modifications including improved communication and technology applications and integrated and shared use mobility techniques had potential to improve mobility options for the community and move the system forward. Next steps will include drawiing a plan to pursue FTA Mobility on demand funding and working with Transdev, which operates both the fixed route and Dial‐a‐Ride services for AVTA to explore some recent additions they have incorporated into their technology and planning resources. The greater New Bern portion of Craven County NC was designated as an urban area in the 2010 census, which required a restructuring of funding and operations for the three county CARTS transportation system, and provided the impetus for the TDP study, which was awarded to the team led by Marlene Connor Associates. Historically, Craven County had provided the leadership for a three-county rural transportation service, including Jones and Pamlico counties. That service, CARTS, had effectively used a variety of NCDOT and agency funds to offer both connections to needed services, such as medical and nutrition. As well as the only means of rural public transportation in the three-county area. In downtown New Bern, which was the core of activity in the region, a circulator service had developed over the years connecting a number of facilities in a broad area. The TDP indicated that a number of issues had to be addressed as a result of the urban area designation, but also that this change afforded CARTS the opportunity to update and upgrade a number of internal and external processes and programs. Although CARTS as a sub-recipient of FTA funds was responsible for adhering to FTA standards, that adherence would be significantly affected by becoming a designated recipient and participating in all the programs evaluated by the Triennial Performance Audit. As a result, the MCA team developed a number of suggestions for becoming prepared for that FTA review. In addition, we reviewed fare and finance activities from several perspectives, including what modifications were likely based on the change to FTA funding and the withdrawal of NCDOT funding in the urban area to the customers, to the partnering agencies and to Craven County. Recommendations specifically addressed the goal of the County to minimize impacts on existing riders during year one before considering additional activities in subsequent years. The work included interacting with other studies by the City of New Bern and the MPO as well as the use of scheduling software to estimate the impact of fare and service options for those both inside and outside the urban area. The final report included a phased implementation plan to precede with increased interaction with the FTA and options to address the goal of minimizing disruption to existing riders. Marlene Connor Associates was selected by CityBus to review and evaluate the operational criteria and reporting processes used to submit data for potential funding under the Federal Transit Administration Small Transit Intensive Cities program that provides additional funding for agencies in areas with populations over 50,000 and less than 250,000 that exceed the national average for six operational criteria. Historically, CityBus had been successful in attaining funding under four of the criteria, the purpose of the study was to determine whether additional planning or policy decisions could influence the opportunity to meet the remaining two criteria. The initial phase of the work was focused on fully understanding all attributes of the system, including the impact of the riders associated with Purdue University and the overall route structure and system framework within the service area. 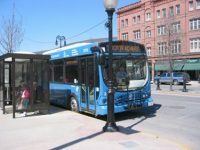 Since the STIC evaluation process is directly connected to National Transit Database reporting, MCA also interviewed CityBus staff responsible for sampling ridership and discussed potential options and modifications with respect to sampling alternatives and techniques. The second phase of the study included developing a short survey to be discussed with a sample of peer agencies. Survey questions included comparative demographic data, understanding of system structure, influences of college and university populations and an overview of sampling processes used, including any addition of ancillary services. The results of the first phases were then discussed with CityBus staff at a planning meeting, which included a number of issues as well as the STIC related evaluation. In general, the short distance of most system trips, made by persons proximate to the Purdue campus, limits the ability to compete with other locales that have a number of longer distance trips, especially those associated with colleges and universities. There does appear, however, to be some potential through minor system redesign to exceed the fifth criteria. But CityBus must ensure that modifications do not affect the existing criteria. The final results were presented to the Board and discussed with senior staff. There was consensus that the STIC process was more than an external funding opportunity, but rather should be incorporated into the activities of the agency, including operational, funding, policy and planning. The revised processes were used in the most recent NTD submittal which contributed to CityBus achieving an additional STIC factor for increased funding. Marlene Connor Associates is part of the Burns & McDonnell team and will be leading the transit planning efforts associated with the development of both projects, including the TIGER sponsored Workforce Connex and the KCATA Strategic Regional Long Range Transit Plan. By combining the new regional transit plan with the Workforce Connex study, the region is linking effective and efficient multimodal transit options to a growing workforce. The goal of Workforce Connex is to double the number of jobs accessible by public transportation in the next ten years. Study elements include fully understanding the current job locations and origins and destinations of employees as they relate to the existing public transportation infrastructure and developing options and alternatives for that infrastructure that also includes job access to future employment. The shorter term elements of that public transportation system will then be incorporated into the longer term Ride KC Regional Transit Plan which includes work from the prior “Smart Moves” Plan as well as the 2040 Regional Transportation Plan. The study will include developing performance metrics to monitor progress towards meeting goals and a significant public engagement process. The Plans will also include a sustainable funding framework and implementation strategy. Part of the project team to provide planning and engineering design input for the development of a One Call One Click center to implement a Veterans Transportation and Community Living Initiative grant awarded to BRTA in partnership with Soldier On, a nationally based veterans services organization. Work included framing the eligibility and service criteria working with an advisory committee that included Soldier On a national veterans group established to improve and enhance the resources available to veterans and their families, as well as other stakeholders. Work included developing options and alternatives to integrate the VTCLI components into a unified communications and operations plan, and creating a “memorandum of understanding” framework to establish rules of engagement for multiple partners, including communicating and interacting with numerous veterans groups within Western Massachusetts. An important component of this project was ensuring that members of Soldier On would be staffing the call center. This study for the MPO initially was conceived as a long term plan for Chatham Area Transit, extending services outward to the greater Savannah region. However, as part of stakeholder interviews and input from the advisory committee, the study broadened to include representatives from South Carolina and several surrounding counties in Georgia. The study recommendations included framing key corridors and potential incremental capital and operation additions, starting with the use of Intelligent Transportation System components, such as linking web sites, combining client lists and creating service links, considering a regional call center and developing a common fare medium that could be used by all operators and also connect with the City of Savannah parking network. The study identified high density travel corridors and connecting mobility strategies that could serve as a framework for the future in the multi county-multi state region. The plan was incorporated into the region’s overall long range transportation strategy documents. This assignment began by performing a regional BRT assessment for both Santa Cruz METRO and MST, followed by the initial planning analysis for an onstreet Bus Rapid Transit project in the Fremont/Lighthouse corridor using the FTA Very Small Starts planning process and guidelines. That analysis included routing, station location, Transit Signal Priority including use of queue jumps, and input regarding branding, sponsorship, etc. Following completion of that study, a Very Small Starts grant application was developed which was approved for funding by the FTA in the FY 2010 federal budget. As Program Manager for the BRT implementation the team served as adjunct MST staff, to oversee the development of the design plans, adhere to the FTA reporting process and chair the Technical Advisory Panel, consisting of representatives from all affected jurisdictions. 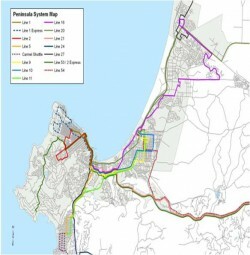 This study advanced the implementation of BRT principles in the Monterey Bay area by establishing a preliminary vision for a regional plan for BRT service that would connect with other planned and existing transit projects in the region. As a result, mobility options could be enhanced for those traveling both short and long distances within Monterey and Salinas counties, and also connecting to other destinations outside the region. Study elements included corridor specific planning and evaluation, including routing, Transit Signal Priority, and other BRT attributes. Estimates of before and after travel times were made using computer simulation. Meetings were also held with stakeholders and affected parties. 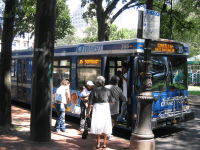 An assessment of economic benefits for public transportation investments within the state of Connecticut. The report established a framework for a current economic benefit review of public transportation projects. The review was based on livability and community sustainability trends. The report estimates that these four projects would create the equivalent of 16,044 jobs. The report also highlights 13 priority transit routes throughout the state that, if invested in, would offer mobility options for thousands of state residents. The report concluded that public transportation provides unique opportunities economically for communities and riders including jobs, access to jobs, education facilities, medical care, as well as opportunities for community re-investment in development. Public transportation works best in those communities and regions which recognize the value that mobility and access can provide. The strength of that investment is highest when there is a broad spectrum of partners, both public and private. Recognizing the need to develop a statewide Public Transit Investment Strategy, the 15 Regional Transit Authorities of Massachusetts were given a unique opportunity to identify and present to their stakeholders, Legislators and constituents, measurable transit service goals to guide future investments in the RTA program in Massachusetts. The plan was designed to look at service and demographic trends, to highlight where funding limitations have required changes in existing services as well as impeding growth to new markets, as well as to review capital investments in fleets and facilities and how they need to be addressed. The study included a multiyear strategy to maximize transit investment needs, both capital and operating, for the MARTA program, and its member RTA’s. Work included a review of current level of services and investment, as well as a needs analysis, specifically, an analysis of the gap that exists between what is provided, and might be expected to be provided, based on factors such as population and employment density and per capita investments, and a demographic analysis for each RTA region. As part of the study, a detailed understanding of each transit authority’s operations and financial and capital resources was developed, along with an implementable investment strategy to fulfill the capital and operating needs identified. The plan also provided baseline minimum service level policies for the urban, rural and seasonal transit authorities, and provided guidance on service investments. The results of this study provided an important tool to the RTA’s and to the policy makers, as the stakeholders considered how best to expand both the service and revenue base, while ensuring the best use of available resources in the current delivery of service. Technical support for the development of an RFP for countywide contracted services known as VISTA. These services connect the activity centers within Ventura County CA and also link Los Angeles County to the east and Santa Barbara County to the north. The Santa Barbara connection is funded in part by the Santa Barbara County Association of Governments. The evaluation of the RFP process included financing options for vehicles as well as contract operator selection. As part of the study, vehicle suppliers and potential operators were contacted to receive input prior to the finalization of the RFP. The study included the analysis of peer operations and processes that could be applicable to Ventura County. This research reviewed and evaluated the state of the practice in providing transit service in suburban areas. As mobility needs in suburban areas have continued to grow, the transit industry has accumulated more experience with successful and unsuccessful suburban services, more sophisticated tools for evaluating the land use versus transportation and the relationship that have been developed, and the theoretical thinking behind modern urban form which continues to evolve. This study evaluated the current industry practice of providing transit service to suburban markets. The products of the research included a guidebook for transit operators to use in choosing appropriate types of service for their operating environment. Study elements included a literature review of suburban transit services, and developing a GIS based tool to describe characteristics of various suburban land use environments and related service strategies to the various land use environments. To supplement the literature review, a peer review and detailed case studies analyses were completed. Additional tools which were developed included a decision matrix for transit service design. Some of the findings included that transit agencies which established a specific measurement process appropriate for the performance of suburban services and communicated that process to their communities, were the most successful in adapting a range of services. Conducted a multi-phase analysis of the feasibility of a statewide approach to public transportation Call Center planning and implementation for the Public Transit Division of the Mississippi Department of Transportation. The first phase of the analysis included a review of the service providers and infrastructure within the Delta Rides region of the state with respect to developing a pilot program that then could be transferable to other areas of the state. 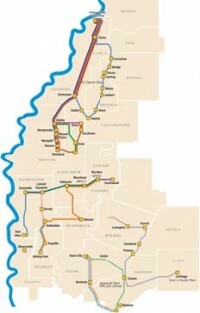 The second phase of the analysis included a peer review of various local, regional and statewide information technology and call center policies and projects that have been planned and implemented around the country, leading to the development of an RFP and process for project implementation for the Delta Rides region. Information for this project came from participation in the USDOT Mobility Services for All Americans, MSAA, demonstration program as well as years of working with public transit and human service transportation providers on service and infrastructure coordination. 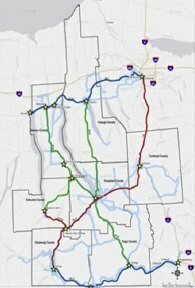 The goals of the MSAA process included creating full service transportation management centers that could include the intake , schedule and dispatch of transportation services. Lessons learned for the agencies who participated included use of technology, staffing and functional requirements, planning and organizational design and funding and sustainability. A review of the Delta Rides operations and service providers was completed, including an informative site visit to the initial MSAA project in Paducah, KY and a review of approaches planned or implemented in other areas of the country. The recommendations for moving forward included overall system interoperability and sustainability using a consistent menu of program and product choices, yet offering agencies the ability to refine their potential participation based on need and availability of resources. Policies developed for the various projects were scaled based on anticipated and various levels of participation in the program. The study led to the development of specs to project implementation and were scalable for use in other regions of the state. The study for the Kanawha Valley Regional Transportation Authority in Charleston, WV was a system analysis of multiple activities and services provided to the communities within the greater Charleston area. KRT was specifically interested in a focused review of their services, an updated evaluation of the ADA paratransit operation (KAT), recommendations to improve interaction with the colleges, universities and a review of the current fare and zone structure. The study initiated with an in-depth site visit to reinforce the many difficulties operating services proximate to two rivers and into the hollers that extend into the mountainous terrain. The site visit also included meetings with numerous stakeholders and, including city, county and state officials and staff. The goals of the study were to develop consistent and frequent service on the primary corridors, to simply the route structure and to provide connectivity to non downtown destinations. The study included identifying hubs outside the downtown core, improved access to the growing regional mall corridor, working with paratransit providers in the area, including the local taxi operators, to consider broader coordination strategies and collecting specific data to assist in developing options and alternatives. The study also included review of the current fare structure to identify opportunities to simplify the zone system and provide easier and consistent fares for riders. The current system includes six zones and a paid transfer process. The recommendations included a flat fare and the introduction of a day pass to eliminate transfers. The remaining portion of the study involved refining those options and alternatives and blending the actions into a plan that updated the planning processes for the agency, increase community awareness of the value of the KRT services and provided a path forward for future years, included the addition of ITS programs and processes. In preparation of the opening of phase 1 of the Silver Line connecting Washington D.C. with Dulles Airport, the County wanted to consider a range of fare level and policy options. This study included identifying current industry trends with respect to fare policies and practices, and presented peer information with respect to commuter based services in similar environments. The County Commuter Bus Service included three types of service which were anticipated to evolve with the addition of the Silver Line service. The study included reviewing LC Transit ridership and revenue trends, as well as characteristics that have impacted ridership and revenue since 2007, such as gas prices, population growth, congestions, and service levels. The study recommended a fare policy framework for the future as well as proposed fare level scenarios with ridership and revenue impacts. The five-year Transit Development Plan for Augusta Public Transit served as a road map for the agency with regard to future operational plans that incorporate modifications and expansions of the system to attract more riders by offering more direct access to potential destinations, such as Columbia and Aiken Counties and Fort Gordon. The TDP also included capital planning recommendations, implementation recommendations for ITS projects, and other activities such as additional communication and coordination programs. The previous transit service had been reduced in scope based primarily on the absence of a dedicated local funding source and the lack of local resources to maintain all of the locally funded programs. One of the agency goals was to make the case for the need and value of the service, which resulted in state legislation that would permit local funding votes for transportation. The TDP process included collection of data and information through ride checks, onboard and non-rider surveys, stakeholder interviews and meetings with the public and the Steering Committee, as well as a peer review analysis. The initial information gathering phase gave everyone in the community an opportunity to provide ideas and comments. The most interesting result was the expectation of non-riders that the service be expanded and enhanced. The previously existing service was then analyzed and compared with the survey, comments and data received, followed by the drafting of potential service changes and modifications for consideration. These draft ideas were then vetted through a thorough review process leading to the drafting of operating, capital and financial alternatives followed by refinements received from the riders, the community and the policy makers. It was clear that this was a critical time for APT and the potential existed to increase awareness and partnering agency participation and expand the understanding of public transportation to match the increased development in the downtown area and the ongoing development of the region. The phased implementation plan began with a no-cost service change to provide direct service to the downtown by eliminating low productivity service segments. This service change was accompanied by creating a park and ride facility and connecting with rural paratransit service to begin an expanded network which can be enhanced as additional funds become available. This project included an in-depth analysis of the Wake County Transportation Services program which provides human service transportation throughout the county and general public transportation in rural areas. Program funding includes a variety of sources from NCDOT as well as Medicaid. The program has been significantly modified through the creation of a contracted mobility management function and software for scheduling and operations has been upgraded as part of a Veterans Transportation Community Living Initiative grant. Wake County management requested an independent review of the service and funding processes as well as a phased implementation plan for any modifications or improvements. The work plan included meetings with the management project committee, and coordinating with the technical staff and staff plus a myriad of internal and external partnering, contracted and affected agencies. In addition, all relevant planning, operating and financial documents and information was reviewed. Also, a separate analysis of the software and ITS infrastructure was completed. Three reports were developed, the first outlining the baseline conditions findings, the second a detailed review of the main and supporting system functions and the third which combined final report and action plan recommendations. Our review determined that the basic foundation concepts for the program were well positioned, but a number of modifications were recommended with respect to operations, better integrating county and contract staff, capital, working towards a five-year plan cycle considering alternative funding scenarios, ITS, fully implementing the software system and using it to transition to paperless reporting for internal and external agencies, and supervision and governance, restructuring the Transportation Advisory Board to include more participation from local municipalities. Other recommendations included the potential to expand the program to coordinate all community based transportation in the County, including building on the existing relationship with the City of Raleigh to better share functions, activities and resources. 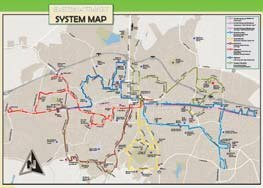 Cobb County DOT wanted to complete a senior adult transportation study to improve accessibility and mobility for older adults in Cobb County, Georgia. In Cobb County, the portion of residents age 55 and above was growing faster than the total population. With a considerably faster growth rate, the portion of older adults in Cobb County was projected to double, and was anticipated to constitute nearly 20 percent of the total population by 2030. 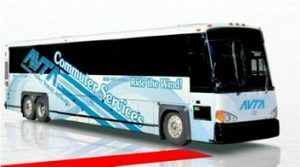 This project addressed Cobb County’s transportation needs by looking at the relationship between Cobb County Transit and Cobb Senior Services to recommend modifications to existing services and/or providing new services where needed. As part of this effort staff: Identified and inventoried existing transportation services provided by relevant organizations and agencies working with older adults; Analyzed and quantified the needs, preferences, and priorities of older adults living in Cobb County; Reviewed local, state and federal service regulations and requirements for services and other functional activities; Identified opportunities for improved coordination among organizations; Combined information into a strategic plan that laid out the process to design effective and efficient services that meet the needs of the older adult community. The study recommended an intensive public education and involvement program, interagency coordination processes and the implementation of a Mobility Management track within the county, including the development of a staff level Mobility Manager to work within Cobb DOT to carry out the recommended program. This program was approved by County Commissioners for implementation. 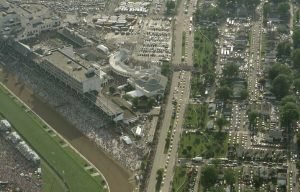 A transportation logistics study was undertaken to provide a private sector client related to Churchill Downs in Kentucky with an assessment of site layout and access patterns, especially those for transit and taxi service. The work included both pre- and post-event meetings with involved stakeholders, including facility management, managers of the shuttle and taxi operators, and the Police Department to gain an understanding of transportation operations and strategies. Site visits were held to observe all aspects of the spectator experience, focusing on transportation patterns and issues. Based upon meetings with involved stakeholders and observations at the event, an assessment and alternatives strategy was prepared that included a phased implementation plan for the client to improve transportation operations to and from the facility, as well as enhance the attendees’ overall event experience. The phased implementation plan was broken down into short term recommendations for 2013 and long term recommendations for 2014 and beyond. The overarching recommendation was that the client develop a mobility framework, including identifying a central entity to assume management of transportation and coordination of the various modes of services. Longer term recommendations included reconfiguration of the shuttle/taxi area to improve operations and enhance attendee experience. 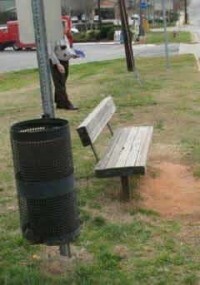 The study for the City of Raleigh was an evaluation of existing conditions with respect to the placement of bus stops and shelters including compliance with the Americans with Disabilities Act and development of a guidebook regarding principles, guidelines and standards for bus stop placement, design and performance. The initial task was to develop an existing conditions report thoroughly investigating and evaluating each bus stop along two heavily traveled routes designated as “Transit Intensive Corridors” within the City’s CAT system. Each stop was evaluated from the perspective of placement, signage, access paths, including incorporating all of the design criteria used by peer systems and advocacy organizations, such as Easter Seals Project Action. As part of the investigation and evaluation process, various shortcomings were identified including safety, lighting, amenities, access to nearby origins/destinations and ADA requirements. Improvements were then recommended with respect to the existing deficiencies using plans, drawings, cross sections etc. The results of the field investigations were then incorporated into the development of guidelines for the City to use in the planning and development process as well as to assist CAT staff in creating consistent bus stop and shelter criteria for modifications to existing services or in new route implementation. Other input included the potential use of information technology, such as kiosks, electronic information signs, etc., based on current practices within the industry. Another set of recommendations were created to be used by the City as part of the private sector site plan development and zoning change process. Practices that had been developed in other locales were presented and reviewed regarding potential applicability in Raleigh. The overall intent was to create a template for the city of Raleigh to be used by private developers during site development. Another related task was to consider the use of private sector work crews to maintain and clean the stops and shelters. The final product was a Guidebook that incorporated all of the design aspects discussed above. Preparation of Community Transportation Improvement Programs (CTIP), Community Transportation Services Plans (CTSP) and Regional Transportation Development Plans (RTP) under multi- year task order contracts. Primary consultants for multi year on call assignments with NCDOT. Under these contracts, planning work included developing CTIP’s in a number of locations including the seven western counties of North Carolina and the Eastern Band of Cherokee Indians, and other County locations including among others Durham, Chatham, Cabarrus, Currituck, Dare, Gates and Washington Counties in North Carolina. The development of the CTIP’s included an assessment of each county’s transportation services which focused on organizational overview , services, performance, goals and objectives, and staffing. The review of each functional area including work system approach, financial management, human resources, customer service, and operations management. The results of each functional assessment led to the identification of system strengths and opportunities for improvement, a five year capital and operating plan, and a draft and final report of recommended improvements. The CTSP’s in addition provided a service performance assessment as well as recommended service changes. 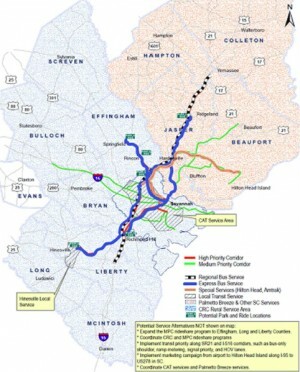 The work scope for the Regional Transportation Development Plan which was created for the Triangle Region included the feasibility for a regional system to connect Wake, Durham, and Orange County. The study identified organizational models as well as financial assessments for each proposed alternative. This study was an alternatives analysis of the existing complementary ADA paratransit services offered by the city as well as a similar program for residents that do not have access to transportation. Both programs are currently provided exclusively by taxis, with individual operators assigned to those persons that qualify for the services. Although the existing system was quite popular with the riders, the costs for the program had been increasing significantly in recent years and the city thus was interested in understanding potential alternatives that would maintain mobility options for persons with disabilities, yet consider potentially less costly service delivery options. The study started with a full review of the current system, by working with staff and interviewing various stakeholders. In addition, there was a peer group comparison that considered similar size agencies, alternative program designs within North Carolina and taxi based service delivery in other locations. Following this review, alternatives were presented to staff, the affected agencies and the riding public. There was consensus to develop phased modifications including the addition to multi-person and group trips into the mix of paratransit services that could both effectively serve the ridership and include more cost efficient components. The study also included the development of a range of service, organizational and staffing alternatives, a financial impact assessment and the development of an implementation strategy for the alternatives recommended. In addition, the study looked to identify corridors for service that could blend with services operated by New Jersey Transit to provide enhanced connectivity and mobility in the region. The product of the study was development and initiation of the Middlesex County Area Transportation Service. The Regional Transportation Study (RTS) was a planning project developed by the Regional Transportation Planning Coalition, a group of community leaders representing county governments, higher education, transit, human services, and planning interests, to study transportation in the sevencounty area of Western New York, including the counties of Cayuga, Cortland, Tioga, Chemung, Schuyler, Seneca, and Tompkins. The study resulted in a strategic plan of programmatic and policy solutions to address transportation infrastructure, systems, operational improvements and enhancements needed to accommodate projected transportation needs. Enable coordination among counties to provide the best possible cost effective transportation. The RTS process examined existing services and needs, projected future demands, incorporate stakeholder input and developed a series of recommendations in a phased implementation plan and a sustainable process that addressed: alternatives to reduce drive-alone automobile trips and to provide realistic options to persons who are unable to or choose not to drive; reductions in commuter traffic on the highway network; potential expansion of bus transportation, including commuter bus and intercity services; incorporation of coordinated mobility programs, such as van pools, guaranteed ride home, ride sharing, and human service transportation; and improvements in communication and technology to improve customer information and agency interaction. The significant public input components of the study included virtual public hearings to enable communication to a broad regional spectrum of interested community participants. 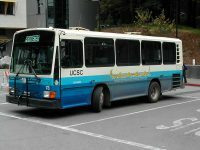 The purpose of the study was to assess the effectiveness of the UCSC transit program, and to make recommendations for improving its efficiency and safety. The overarching goal of the project was to determine how the two systems serving the University, TAPS and Santa Cruz Metro, could be improved to meet the travel needs of groups served by the two separate programs, in a more coordinated and comprehensive fashion. The study examined closely the roles that both the University and Santa Cruz mass transit operators play in serving the needs of the campus community, as well as analyzing how the two systems interrelate. An important element of the study was a significant public outreach component which focused on UCSC students and included several “dropin sessions” and a University-wide on-line survey. Other work included an on-board survey that provided a comprehensive look at the characteristics of transit users, and a market segment analysis. The study included developing GIS mapping, for ease of review of recommendations by University Administration and students. Additional work included the development of pedestrian and bicycle plans and programs for the campus. This study provided the Ventura County Transportation Commission in Ventura County, CA. with technical and policy consulting services regarding organizational options and strategies used in the transit industry that could be transferable to Ventura County. 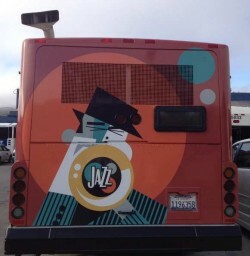 Ventura County has multiple public transportation operators including a regional program, VISTA, Gold Coast Transit JPA, and multiple municipal operations. This study was designed to assist the VCTC in preparation for the implementation of CA SB 716 which provided new guidance on local funding requirements for transit operations. The study presented for consideration a range of alternative organizational structures for operations and funding in the creation of a county-wide transit agency. Alternatives discussed with the Policy Steering Committee included varying degrees of collaboration, coordination and consolidation. Study tasks included interviewing existing service providers, developing organizational alternatives and strategies for implementation, communicating with policy makers and the client regarding options and alternatives, and assisting in development of the final report. This study was a thorough analysis of the existing streetcar service and the fixed-route services traveling through the central business district of San Antonio, Texas. Key to the plan recommendations were public outreach and community involvement for downtown businesses, residents, and major transit generators. Encourage stakeholder and community member input and participation. Develop and communicate clear and concise project information. Use various methods of disseminating information to stakeholders,community members and media. Document all stakeholders’ and community members’ comments. Inform stakeholders and community members why input is important, how it will be used and give serious consideration to all comments. Respond promptly to all inquiries. Host public workshops in a safe and convenient location. 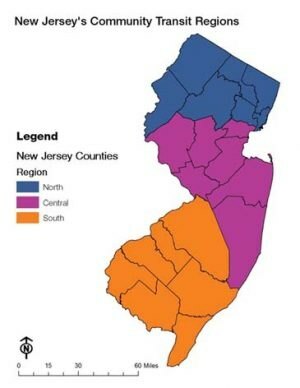 The Regional Coordinated Human Services Transportation Plan was a cooperative effort of NJTPA, NJ Transit and the Department of Human Services to identify ways to achieve a coordinated transportation system from a regional perspective for the 13-County area in New Jersey. It built on the individual plans submitted by each county that assessed current levels of public and specialized transit services, identified service gaps, and made recommendations to improve transportation services and linkages between Counties. The primary goals of the plan were to: maximize the efficiency and simplify access to existing public transportation services; reduce and eliminate duplication of services; ensure that improved services filled existing gaps in public transportation; develop proposals and strategies to achieve regional cooperation; provide a mechanism to update plans on a continuing basis and monitor plan progress. We look forward to hearing from you! Please contact us by using the contact form or by using the information below. Select an OptionGeneral InquiryInterested in ServicesQuestions?